This is a Map of System Fusion repeaters I copied from repeaterbook.com. It gives an idea of density and locations of System Fusion activity in the US. In some places, like Phiily/NJ area, too many to individually show at this zoom level, so it just looks blurry blue. Click on the Map for a larger version. Saw this just went on the air – near Cobourg. 146.895 MHz. 162.2 Hz tone on FM. It is pretty strong at my QTH, it’s antenna is over 1100 feet and not far from the lake. It has Wires-X capability as well. I’m going to listen in the upcoming days and see what kind of activity it has. The lower cost single band UHF 440 transceiver is now available. The FTM-3207 should be order-able from most retailers. The interesting news is they have made this radio capable of controlling a Wires-X node. That is, from the front panel and microphone keypad, you can connect to a Wires-X node and connect to other nodes and rooms. 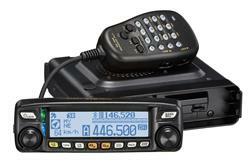 This feature was not previously available on the lowest cost C4FM radios, the 2 meter FTM-3200 and FT-70 HT. But as of today, both of those radios are now upgrade-able with a firmware update. All of these radios are under $200, and the FTM-3200 was going for $135 earlier this year. The link below has a video on how it works on the UHF FTM-3207. Tuesday Mar 28 at 8PM, there will be a Fusion net on the 145.29 W2XRX repeater (Canadice, NY). The mode will be digital narrow DN. It will be on Wires-X room #21704. The purpose will be to discuss Fusion news, equipment, Wires-X, tips, etc. Check-ins are encouraged from all CNY/WNY Fusion stations. Initially we would follow-on with a net every 4th Tuesday of the month. More frequent nets could be added if enough interest. There are often many questions on which radio is best if I want to work Fusion Digital C4FM mode? It can be a complicated answer, depending on what you might want to do with it. Disclaimer: Don’t own or never used an FT2DR, FTM3200D, FT-991. Only imparting info I have been able to glean from various sources about these radios. 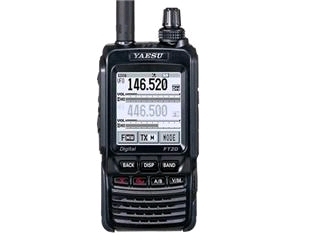 Best to go to Yaesu website and study features in more detail after reading this. Can’t control Wires-X nodes via this radio. Can still operate thru them if connected. Works with camera mic – can take and xmit photos. Not view. This is a video of a presentation by K9RUF. A good overview of Fusion if interested. Next meeting – more details forthcoming but the main topic will be whether the club supports the possibility of re-establishing our 440 repeater. We have a possibility of a site, not in an ideal location for most XARC members (the west side is NOT the best side ;-), and it looks like we might be able to do this rather economically. So we plan on discussing further at the next meeting and probably taking a vote as to whether we move forward. Please plan to attend if you are interested. That’s Feb 9 at 6 PM. Also at next meeting – possibility of a couple club projects – 6 Meter halo antenna and/or all band 300 watt amplifier might be discussed. I purchased a FTM-100DR to have as a full-time (or almost) Wires-X node to free up one of my FTM-400’s for a base radio. Now I need to put up a second antenna. By the way, I paid under $300 for the FTM-100DR. I think I paid over $500 for a Kenwood TM-733 at the Rochester Hamfest in the early-mid 90’s. It was a nice radio and could receive two bands at once, but it didn’t have a GPS receiver, APRS, or digital. 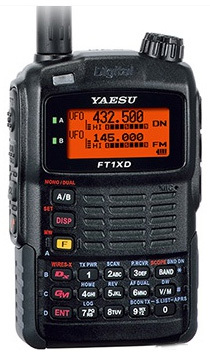 Looks like Yaesu has a lower cost C4FM fusion handheld on the way. The FT-70DR was seen on the FCC website for testing. I’m guessing under $200 and somewhat de-featured from the FT1D. Maybe no GPS. Probably hear in a couple months. Heard a couple new guys in the area on Fusion. 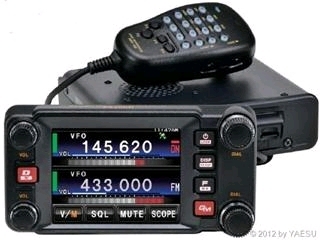 A couple had FTM-3200’s they got for Christmas and a couple with FT-991. Don’t have their callsigns handy – but if you have Fusion, listen for these guys and please answer if you hear them call. One reason why I got another rig, so I can answer them easier. Heard a talk about Fusion from a Yaesu guy who indicated Fusion C4FM was nearly identical to APCO P25 Phase 1, but the FCC asked them to make a small change (one bit) to make them incompatible.